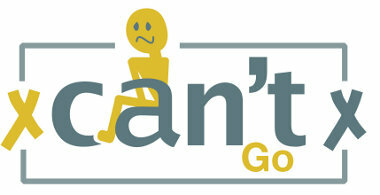 Toilet Troubles | Can Do Can Go! We’ve been travelling around South East Asia quite a lot recently, and have been able to find lots of places where disabled people can go and enjoy a bite to eat and a few drinks. That sounds great, doesn’t it? Unfortunately, very few of them have any provision for access to toilets. So the bottom line is: yes, you can eat, yes, you can drink. But if you want to go to the toilet, then forget it. It’s such a shame, I can’t imagine it being very expensive to create an accessible toilet. A case in point was the FCC Angkor, a pleasant boutique hotel in Siem Reap, Cambodia. It really wouldn’t take much for them to make their place accessible. I guess a lot of people and businesses simply don’t think about disabled people. Let’s see if we can change this sad state of affairs. There are at least a couple of things you can do to help. If you find any disabled-friendly toilets on your travels, please write in and tell us about them. You can also encourage business owners to create accessible facilities. I’ve been talking to various hoteliers in the hope of persuading them to do more for disabled people. Please join our quest to make life more comfortable for disabled travellers. This entry was posted on Wednesday 25 May 2011 at 10:00	and is filed under Campaigns. You can follow any responses to this entry through the RSS 2.0 feed. You can leave a response, or trackback from your own site. Full facilities are available in The Duke shopping centre in Victoria, Gozo, Malta. A gentle ramp from the street or lifts from the basement car park give access to shops, a supermarket, ATM, a coffee shop and a restaurant. A disabled toilet is available on the supermarket level. WARNING: Traditionally dressed Scottish gentlemen and some ladies are advised that the glass floor in the entrance lobby provides viewing from the Deli below!